A 24-tooth blade for blending and a 16-tooth blade for removing weight. Create a softer texture and a natural look in half the time. 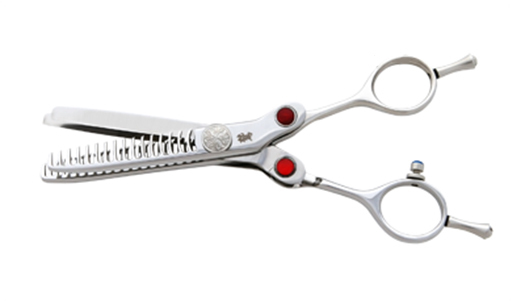 This Double Shear Blends and Textures in one action. A 24-tooth blade for blending and a 16-tooth blade for removing weight. Create a softer texture and a natural look in half the time. Forged from Japanese Hitachi Steel for greater performance. Includes a case and a Silver Texture razor. See image below.